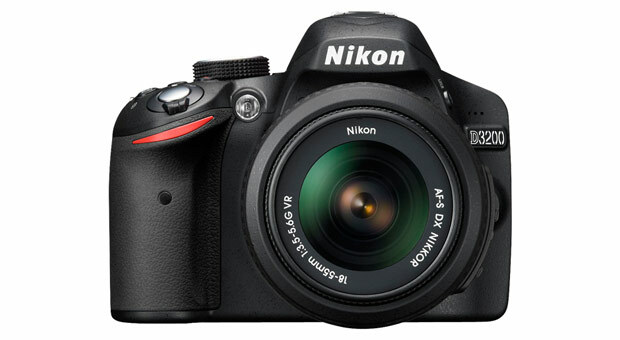 TOKYO – Nikon Corporation is pleased to announce the release of the Nikon D3200, a Nikon DX-format digital SLR camera. The camera is equipped with a new CMOS image sensor with an effective pixel count of 24.2-million pixels, the same EXPEED 3 image-processing engine built into Nikon’s high-end models, and Guide mode, all of which enable capture of beautiful, high-quality images with simple operation. TOKYO – Nikon Corporation is pleased to announce the release of the Nikon D3200, a Nikon DX-format digital SLR camera. The camera is equipped with a new CMOS image sensor with an effective pixel count of 24.2-million pixels, the same EXPEED 3 image-processing engine built into Nikon’s high-end models, and Guide mode, all of which enable capture of beautiful, high-quality images with simple operation. The D3200 is the successor to the D3100 and is equipped with Guide mode, which supports simple and intuitive operation. Last year, the superior usability of the D3100 was recognized not only by the camera’s extreme popularity, but also when the camera was awarded the iF Communication Design Award 2011, one of the iF Design Awards. The iF Design Awards are globally prestigious awards sponsored by International Forum Design GmbH of Hanover Germany. The D3200 not only offers an improved Guide mode for even simpler operation, but also a number of new and improved functions. In addition, the new DX-format CMOS image sensor, developed by Nikon with an effective pixel count of 24.2-million pixels, and the same EXPEED 3 image-processing engine built into Nikon’s high-end D4 and D800/D800E cameras enable capture of images with quality and definition at the top of its class. The D3200 also supports collaboration with smart devices (Android), with use of Wireless Mobile Adapter WU-1a increasing user convenience even further with the ability to transfer images and control shooting remotely over a wireless connection. The extremely portable, compact and lightweight body of the entry-level D3200 is loaded with the latest digital SLR camera functions, allowing for full-scale, flexible photography. Users will enjoy its simple operation with the capture of beautiful images exhibiting superior image quality that they will be eager to share with others. The D3200 is equipped with a new Nikon DX-format CMOS image sensor, developed by Nikon with an effective pixel count of 24.2-million pixels, and the EXPEED 3 image-processing engine. Its predecessor, the D3100, offered a pixel count of 14.2-million pixels and standard ISO sensitivities of ISO 100–3200. The D3200 surpasses the D3100 with regard to both with its significant increase in pixel count and support for standard sensitivities of ISO 100–6400 and a Hi 1 setting equivalent to ISO 12800. In order to maximize the potential of the image sensor’s 24.2-million pixels, the camera is equipped with the EXPEED 3 image-processing engine, which was developed exclusively by Nikon and represents the culmination of the extensive image-processing know how and technologies that Nikon has cultivated over its long history. This image-processing engine has been optimized for digital SLR cameras, and its capabilities for superior high-speed performance enable faithful rendering, vivid color reproduction, and expression of a broad dynamic range. For example, it effectively suppresses noise with advanced noise-reduction processing for still images captured at high sensitivities under dim lighting, all while preserving the definition and sharpness of the image sensor’s 24.2-million pixels. Special noise-reduction processing designed especially for movies maintains crisp, clear outlines in movies recorded in low-light situations. The D3200 is equipped with the Guide mode that was so popular with the D3000 and D3100. Guide mode displays instructions for shooting according to the situation or type of scene or subject, playing back and retouching images, as well as applying all types of settings in a manner that is more intuitive, making camera operation easier than ever before. The number of assist images, also built into the D3100, used to show the results users can expect from camera settings prior to shooting has been increased, and text explanations of scene details and application of settings have been added. Guide mode makes it fun and easy for users to capture the beautiful images they want, whether they choose a specific type of situation, such as Night portrait or Close-ups, or a technique they would like to apply, such as Soften backgrounds or Show water flowing. Advanced operation is one of the first choices available to users when Guide mode is activated. New options, including Capture reds in sunsets, with which the camera adjusts white balance, Take bright photos and Take dark (low key) photos, with which the camera adjusts exposure, and Reduce blur, with which auto ISO sensitivity control is used, have been added to Advanced operation with the D3200. These new options not only expand the range of scenes and situations with which users can effectively capture beautiful photos, but also provide a means for users to become accustomed to various camera functions and the results they achieve at their own pace. The D3200 is equipped with a live view button. By simply pressing this button, live view mode is activated. In live view mode, users can choose one of four AF-area modes: Normal-area AF, Wide-area AF, Subject-tracking AF, or Face-priority AF. By simply pressing the movie-record button just above the shutter-release button, users can enjoy the D-Movie function that records full-HD movies with superior picture quality. Settings such as aperture value applied in Guide mode can also be applied to movie recording, and the ability to take advantage of the unique characteristics of each lens in the rich NIKKOR lineup, from wide-angle to telephoto lenses enable movie imaging expression that is only possible with digital SLR cameras. The D3200 also offers Full-time-servo AF (AF-F), a focus mode with which the camera focuses continuously to keep moving subjects in focus with movie recording. It also offers Face-priority AF and Subject-tracking AF AF-area modes with movie recording. Face-priority AF is effective with recording of portrait-like movies, and Subject-tracking AF tracks a subject as it moves through the frame. What’s more, recorded movies can not only be viewed in the camera monitor, but they can also be edited using the camera. Unnecessary portions can be cut from the beginning and/or end of movie files, and individual movie frames can be saved as still JPEG images. With the D3200, movie editing operation has been improved. The Start point and End point options for movie editing are displayed on the same menu screen, enabling simultaneous trimming of unnecessary portions at the beginning and end of movies, and the results of editing can be previewed before the edited movie is saved. These improvements make editing simpler by giving users a better idea of the results they can expect. In addition, the D3200 also supports connection of an external stereo microphone, which enables recording of stereo sound with movies. With use of the Wireless Mobile Adapter WU-1a, Images captured with the D3200 can be transferred to smartphones, tablets, and other smart devices over a wireless connection, and smart devices can be used as a remote control for shooting with the view through the lens mounted on the camera and various shooting and settings information (live view display) displayed in the smart device screen (remote recording of movies is not supported). Collaboration between digital SLR cameras and smart devices provides new ways for users to enjoy shooting, viewing, and sharing photographs. Viewfinder Frame Coverage 95% Horizontal Approx. Movie Maximum recording time 20 min.